Persistent high blood pressure can cause enlargement (hypertrophy) of the heart. Once the heart is enlarged, it becomes extremely difficult to retrieve the original, natural size. Persistent high blood pressure can also damage the tissues like kidneys and eyes, may rupture the arteries and cause hemorrhage, increased the risk of stroke and also increased risk of becoming diabetic and this is not all that high blood pressure can do. Keep it as much under control as you can. The treatment should primarily depend on the cause, diet and life style of the person. If the cause is removed, blood pressure would also become normal but if the cause is not known, as in case of essential hypertension, the treatment would only be palliative. It is said that once high blood pressure develops, it lasts for the lifetime. This opinion might not be true when the cause of hypertension is known and can be removed. Modern medical system has the medicines that can effectively lower the blood pressure. The medicines are to be used regularly for lifetime along with other precautionary measures advised by the doctor. Such medicines provide reasonably effective but temporary control, not permanent cure. Herbal medicines work the same way and usually have palliative effects. 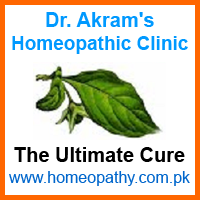 Homeopathic medicines can provide reasonably effective control without harmful side effects. If a medicine is chosen after detailed and careful study of overall symptoms of the individual, it can be treated effectively and might even be cured permanently. Relaxation techniques like Reiki, Yoga and meditation can be helpful in reducing the blood pressure. Alternative medicine like Acupressure, Acupuncture, chromotherapy are also known to have reputation in lowering the blood pressure. Take three parts of fresh garlic, peeled off, to one part of pepper by weight (that is 75% garlic 25% pepper). Grind them together or individually and mix them up. Using half teaspoon of this mixture thrice a day for some time should give good relief. This ratio is not absolute and may be changed to suit the condition of the person. This tip is of general nature and should work for essential hypertension as well but if hypertension is due to dysfunction of kidneys or heart etcetera, it would be better to consult the doctor. This mixture of garlic and pepper has no known side effects, yet you may use it at your own risk. Whichever treatment system you choose, suitable changes in the lifestyle and dietary habits would be necessary. And don’t forget to monitor your BP on regular basis and follow the advice of your doctor.